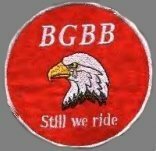 Below is a list of patches and shirts accompanied by sample photos and prices of each. 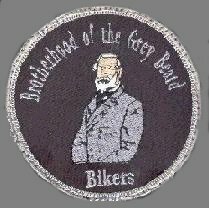 The General Lee Patch cannot be purchased or worn by anyone other than a full member of "The Brotherhood of the Grey Beard Bikers"
The General Lee patch is for members only. The Grey and silver represent Brotherhood,Truth, and Respect. The General, one of the most respected men in US history, is our standard bearer.